Dress can be made by following tailoring process or by industrial garments manufacturing process. Though, the output of tailoring and industrial garments manufacturing are same, but there are huge difference among them. Those differences have clearly mentioned in this article. In tailoring, a small shop is required with few machines and 1-3 operators. Here, a single dress is made by following selected person’s own body shape which needs few hours for making. In case of tailoring, dress fitting is perfect and not required enough capital. In industrial garments manufacturing, higher number of labors and different types of machines are required for making dress. Here, thousands of dresses made by following an ideal body measurement where maximum 15minutes is required to make a dress. In case of industrial garments manufacturing, dress fitting is not perfect for all time and required higher amount of capital. In case of tailoring, a small shop with few machines and 1-3 persons are required to run tailoring process. Here, different types of machines and higher number of labors are required to run the industrial engineering manufacturing process. 1-2 persons are required here. Higher number of labors and machines are required here. A few hours needed to make a dress. Maximum 15minutes is required to make a dress. Here, a single dress is made by following selected person’s own body shape. Here, thousands of dresses made by following an ideal body measurement. Here, grading is not required. Here, one dress is made for one person, so costing of dress is high here. Here, thousands of dresses made by following an ideal body measurement, so, costing of dress is lower here than tailoring. Fitting of dress is perfect here. Dress fitting is not perfect here for all time. Here, fabric wastage is high. Here, fabric is cut by following pattern, so chance of producing wastage is lower here than tailoring. Risk of garment making is lower here due to making single dress. Risk of garment making is higher here due to making thousands of dress at a time. Capital of tailoring shop is not so much. Higher number of capital is required here. What is industrial garments manufacturing? Describe the difference between Tailoring and Industrial Garments Manufacturing. Describe the difference between Tailoring and Garments Manufacturing industries. Difference between tailor and garment. Difference between tailoring and garment. 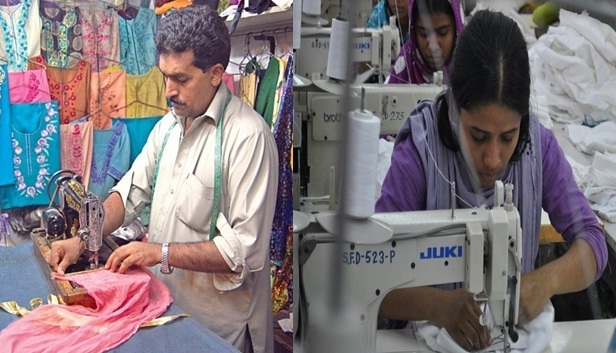 Difference between tailoring and garment industries. Distinguish Between Tailoring and Garments Process. Category: Garments Production Tags: Difference between tailor and garment, Difference between tailoring and garment industries, Distinguish Between Tailoring and Garments process, Tailoring and Industrial Garments Making, What is industrial garments manufacturing?, What is tailoring?